Over the years Lance Percival, who died earlier this week, must have written dozens of his topical calypsos; these often improvised songs were a feature of his appearances on TW3 and Start the Week. Comic actor and singer Lance Percival’s career started on stage in revues such as Hand Me Your Sticks and One Over the Eight. 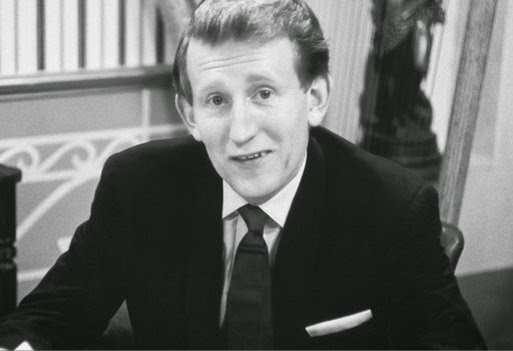 Those appearances eventually led to producer Ned Sherrin inviting Lance to join the cast of the hugely influential That Was the Week That Was, thus launching his TV, film and radio career. Between 1972 and 1976 Lance was back with those topical calypsos as part of Radio 4’s Start the Week with Richard Baker. But the bulk of his radio work was on a succession of panel games where his quick wit and improvisational humour was invaluable. The shows included the word game Many A Slip, Pop Score, Just a Minute, The Law Game and Press Gang. Between 1976 and 1983 Lance was in charge of the comedy game Wit’s End which offered the opportunity for club comedians to crack some hoary old gags. By way of a tribute here’s an edition from the fourth series, first broadcast on BBC Radio 2 on 6 July 1980. The comics are Dave Ismay, Mike Newman and Kenny Smiles. The announcer is Richard Clegg and the series producer Danny Greenstone.